In the upcoming Toy Story 4, the gang sets forth on another incredible adventure when a visit to a carnival introduces Ducky and Bunny, voiced by Keegan-Michael Key (Ducky) and Jordan Peele (Bunny), two carnival prizes who are eager to be won. 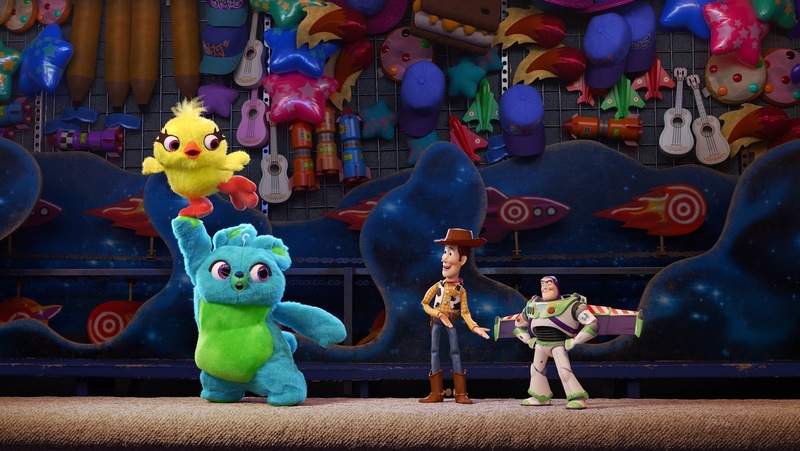 However, the new plans in place by the plucky new pair are rudely interrupted by Woody and his friends as they find themselves on an unexpected adventure with a group of toys who have no idea what it feels like to be tacked to a prize wall. Did you spot any easter eggs? You may have noticed the iconic Pixar ball in sticker form on the side of the rocket prizes. Speaking of prizes, I wonder how many points you need to have to win the guitar from Coco! 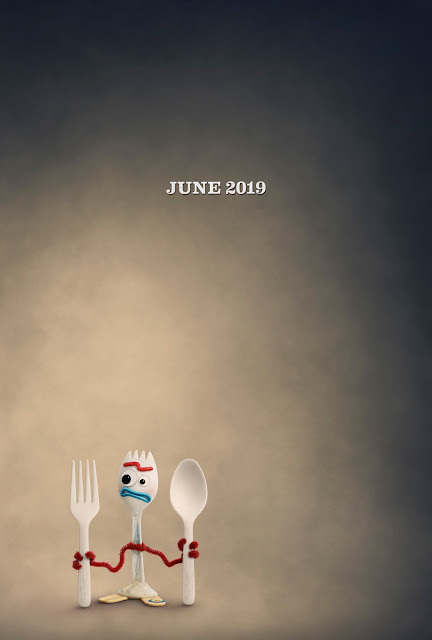 Did you happen to see the Pizza Planet reference on the Forky poster? Both the fork and spoon are from Pizza Planet, but where is Forky from...perhaps Poultry Palace? 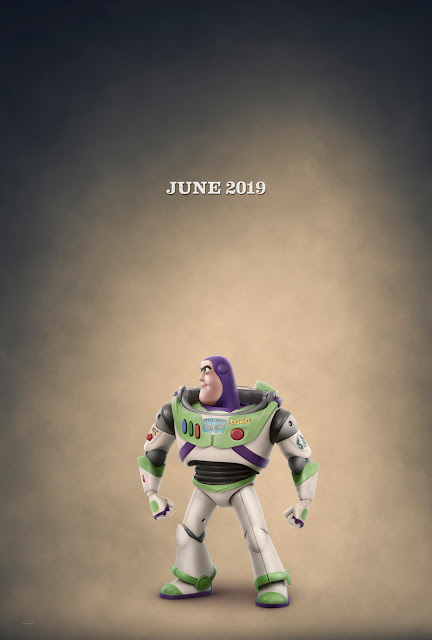 Be sure to share your thoughts with us on the new characters and everything Toy Story 4 in the Pixar Post Forum or in the comments below. 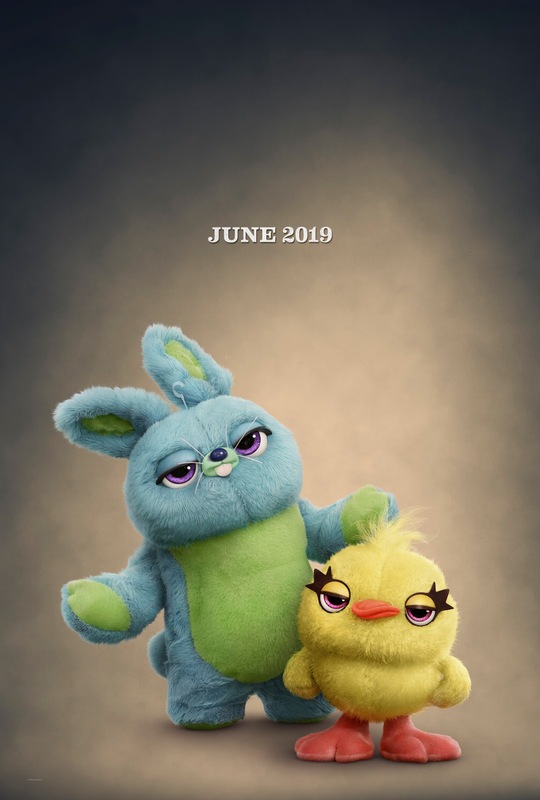 Keegan-Michael Key and Jordan Peele lend their voices to new characters in Toy Story 4 - Meet Ducky and Bunny.